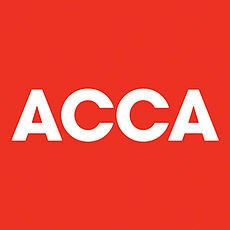 Our ACCA courses are designed and taught by tutors who draw upon extensive industry experience. As a Platinum Approved Learning Partner & Approved Content Provider, we offer the highest standard of tuition and support materials approved by the ACCA. We are the UK's largest accountancy training provider. In 2014, over 45,000 students trusted us with their studies. Working through recorded lectures, with regular question and answer tests with feedback. All ACCA Approved printed study materials delivered by post to supplement your online learning - including Study Text, Revision Kit & Pocket Notes relevant to your level. Tutor support by phone or email available until 10pm on weekdays and 6:30pm on weekends. No other tuition provider offers this level of coverage. Pass Guarantee - peace of mind if you do fail your exam. We'll continue to provide tutor support until you pass**. Mock exams and practice tests - check your progress with online tests, then practice exam technique with a mock exam. Identify areas for improvement with our instant feedback. * *Based on ACCA P4, P5, F6, F8, P7, F4, P3, P1 papers for part-time students across 12 Kaplan UK Centres, at the June 2015 sitting. If you have an accountancy or finance degree, or are AAT qualified, you will be able to start the ACCA full qualification. If you are brand new to accountancy, but have the equivalent of 2 A-Levels or 3 GCSE’s you can start on ACCA Knowledge, before progressing onto the full qualification. The ACCA qualification opens up many career opportunities, from working for a global accountancy firm, to being in banking, external auditing or corporate finance. Upon qualification, ACCA members can expect their salary to increase significantly, with newly qualified members earning up to £40,000 plus benefits in the UK.